I am seriously so excited about these Air Fryer Chicken Tenders! They are gluten-free, low carb, paleo-friendly, and SO delicious and easy to make! You will love making these for a weeknight dinner or for a weekday lunch. Made in partnership with Shenandoah Valley Organic! 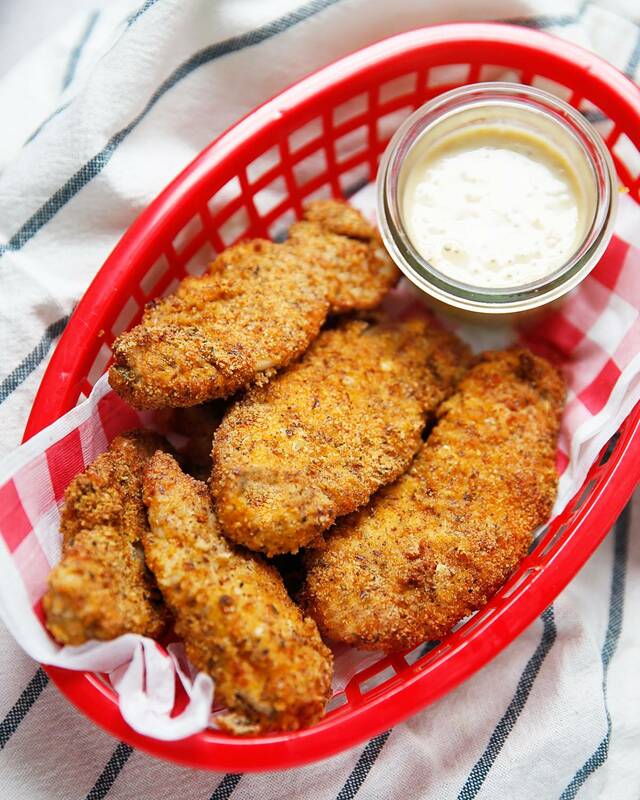 I am so happy to partner with my friends at Shenandoah Valley Organic to bring you today’s air fryer chicken tender recipe! SVO is my go-to trusted chicken company because they pride itself in producing the highest quality chicken grown on family-owned farms. 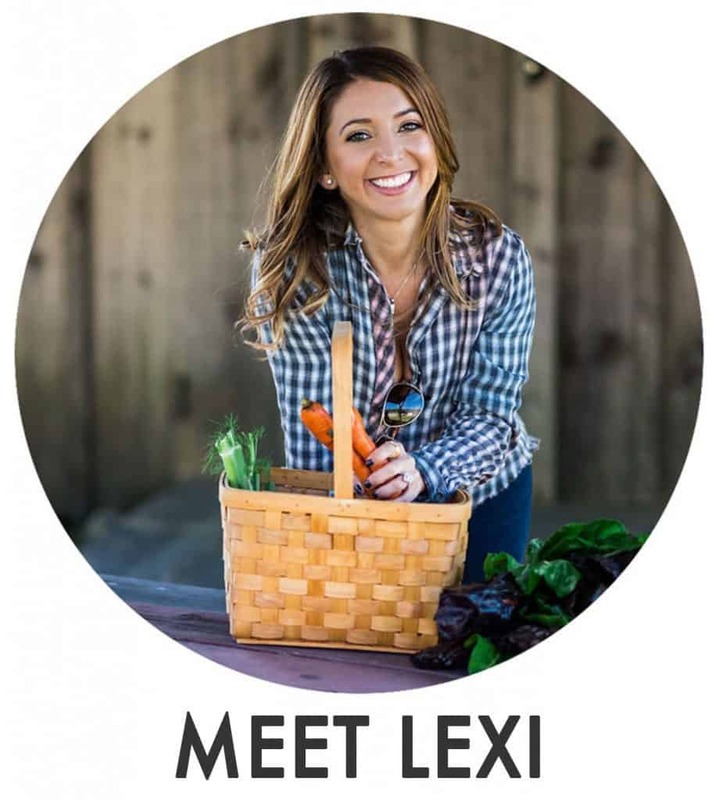 Their chickens are humanely raised and fed a diet free from animal byproducts, pesticides, and antibiotics. On their website you can see where all of the farms are located, so you know just where your chicken was raised! Pretty cool if you ask me! Use their easy store locator to find where you can get this amazing quality chicken near you! Let’s also talk about the AIR FRYER! I have this one and I really like it, but one thing to keep in mind is despite the large size of the appliance, you can’t overcrowd the food you are frying so you have to cook in batches. It’s not a small appliance, so make sure you have space for it! I am really excited about the air fryer! It cooks things SO well. Really, I am super impressed with it and excited to make my chicken tenders and chicken nuggets in it moving forward! Is air fried food good for you? So you know I’m not at all afraid of healthy fats, but when I fry foods, I use avocado oil and it can get expensive. I really like that this is such a small quantity of oil, which means money saved! And if you are looking to cut down on some fats, this appliance definitely can help you achieve that. It’s also convenient and super easy. Do air fryers use oil? Yes, but a tiny fraction of the amount compared with traditional frying! I like using an avocado oil spray as it makes it super convenient to simply spray the basket, and sometimes the food itself. Make sure to find an avocado spray that lists only avocado oil as the ingredients. How can I make these NOT in an Air Fryer? Follow all the initial steps for coating your chicken. Place on your baking sheet and bake for 12-15 minutes then flip chicken over and cook for another 10-12 minutes until golden and crispy and fully cooked through (165ºF) . Serve hot with your favorite dipping sauce! 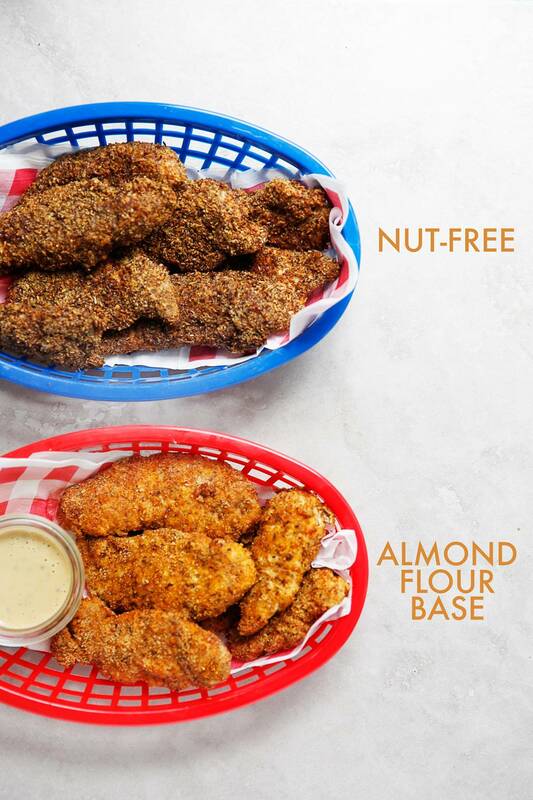 For this recipe we tested and loved two types of coating for the chicken to accommodate those with nut allergies! 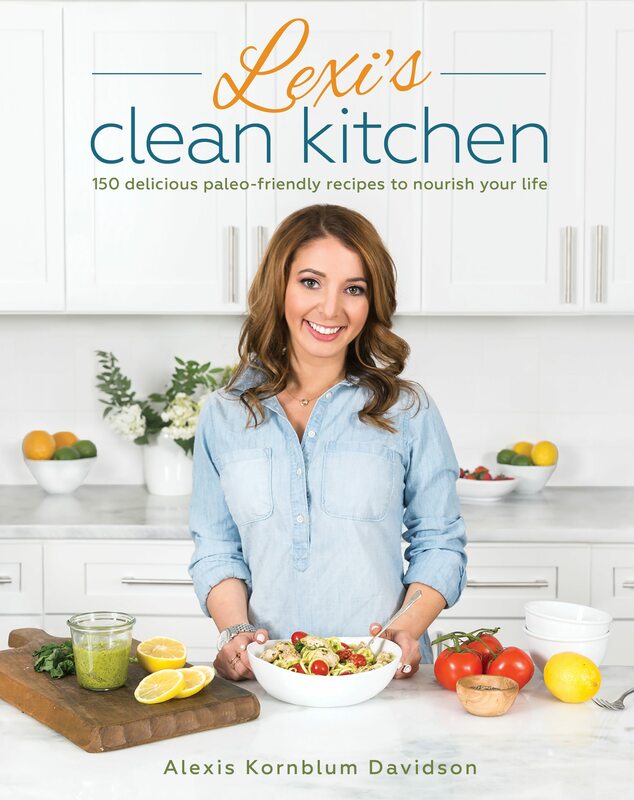 The first uses almonds as a base and the nut-free version makes a simple swap for ground flax seeds. I also LOVE serving these with the honey mustard dressing from my cookbook, or you can find it here. Pre-heat air fryer to 400ºF. Pat chicken dry with paper towel and season with a pinch of salt and pepper. In a medium bowl whisk eggs. In a wide shallow container, whisk almond flour, flaxseed, and all of the seasoning, until combined. Dip sliced chicken into the egg, then dredge in flour mixture. Repeat until all chicken is coated. 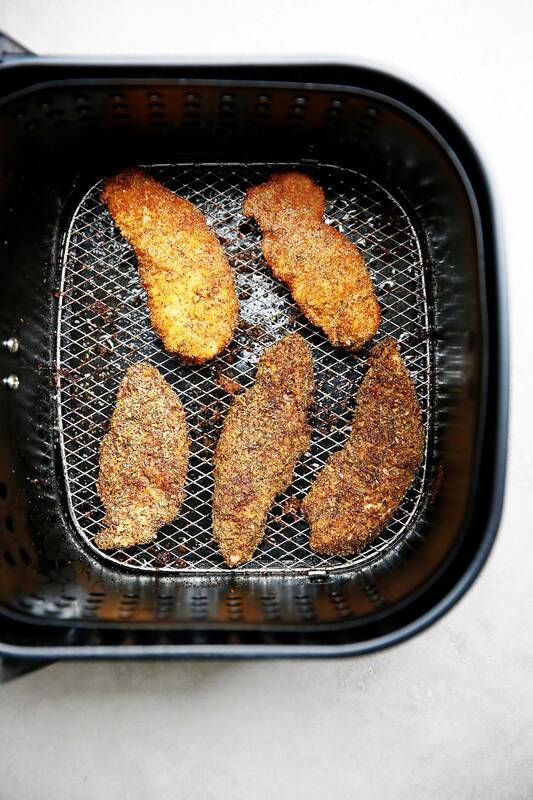 Spray the air fryer basket generously with avocado spray, and place as many chicken tenders in the basket that will fit with plenty of space in between. Spray tenders with additional avocado spray to lightly coat. Fry for 10 minutes, flipping once at 5 minutes. Repeat with remaining chicken tenders until they have all been cooked through to reach an internal temperature of 165ºF. If using boneless, skinless breasts just cut into strips about 1-1/2" by 5". For a nut-free version, omit almond flour and use all ground flax seed instead. This post is sponsored by Shenandoah Valley Organic! All thoughts and opinions are always 100% my own! 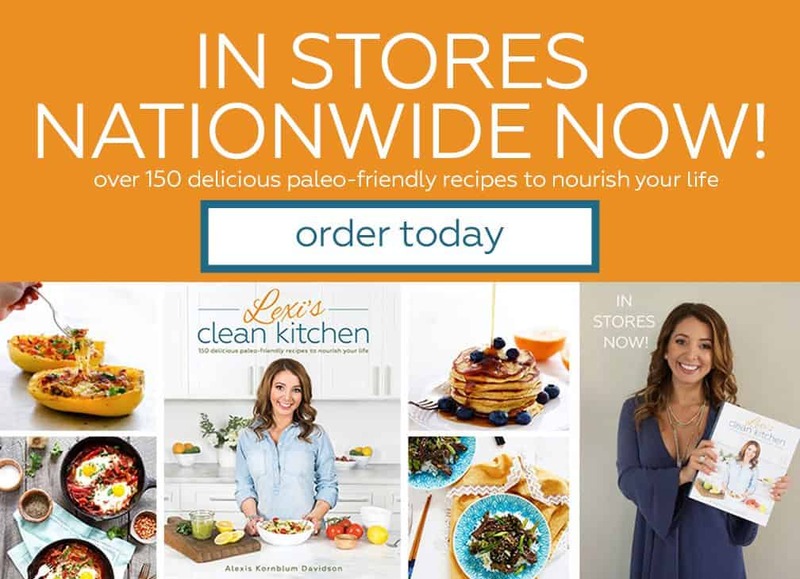 I love the integrity of their products and think you’ll love them too. Thank you for continuing to support LCK and the brands I work with! I have never heard of an air fryer before, but it sure does look like something I would like to try! I love how it “frys” the food using so little oil. I too am not afraid of healthy oils, but the mess and expense of frying is always something to consider. Thanks for sharing! These are bringing out the little girl in me! Chicken fingers were my fave! These look so crispy and fresh! I want them!! 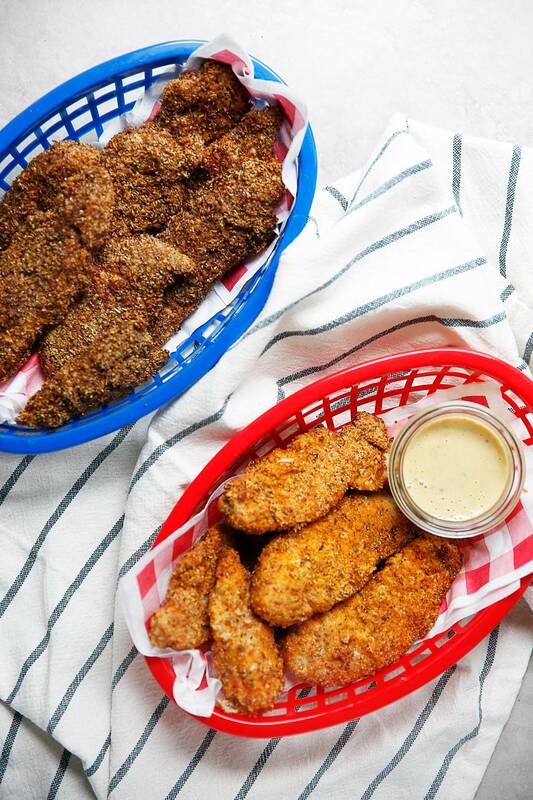 These chicken tenders look so perfect and delicious! The air fryer is a great appliance to have in the kitchen! These look so yummy. I have been thinking about getting an Air Fryer and these are feeling VERY convincing on why I should! I made this and it was great! It’s a keeper but I had one problem. My crunchy batter came off when I removed it from the air fryer. Any tricks to get it to stay on? Can I freeze these before frying? Does the almond flour hold up well?